I visited two Jacob farms in the last few weeks to give some gentle pushes towards getting their sheep registered. 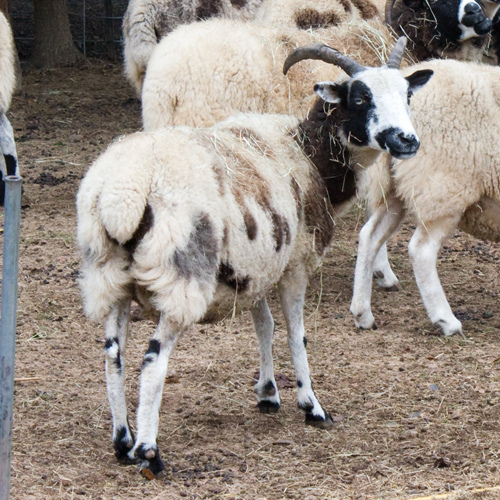 I had a great time and saw some nice sheep. But, the highlight for me was the chance to revisit some old girls. 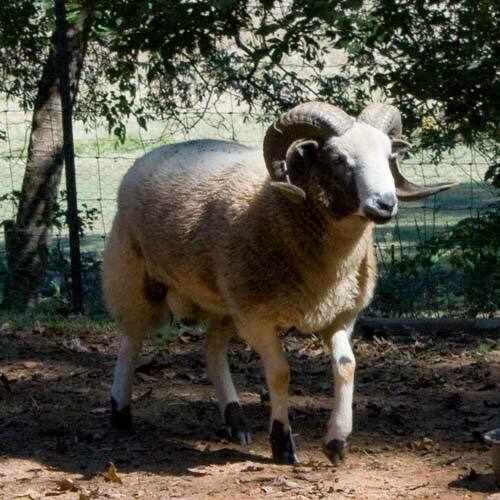 At Fay and Joe Mohl’s in SC, I had the chance to see one of my all time favorite two horned ewes, St. Jude’s Angel. 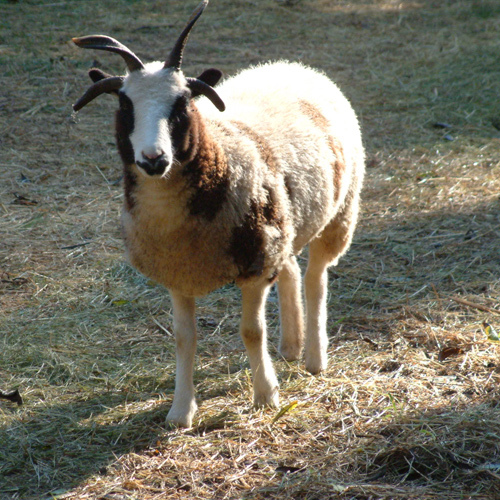 Angel arrived at Patrice Young Danielson’s Small Meadows farm in 1999 from Texas on one of Mary Ellen Hansson’s sheep delivery trips. 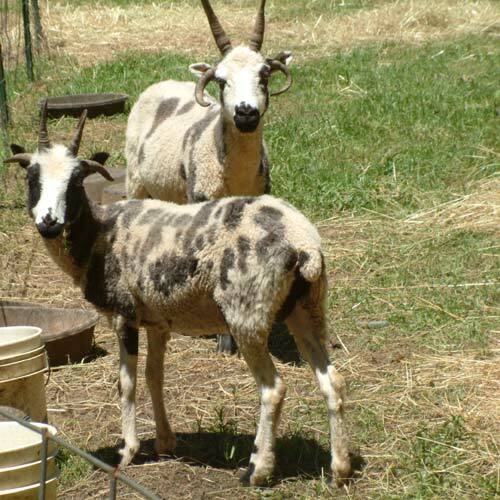 Also in the trailer were two ewes with quite spectacular horns, Rockies Stacia and Rockies Sophia. Sophia came to Patchwork a few years later. Angel went to Fay and Joe when Patrice dispersed. 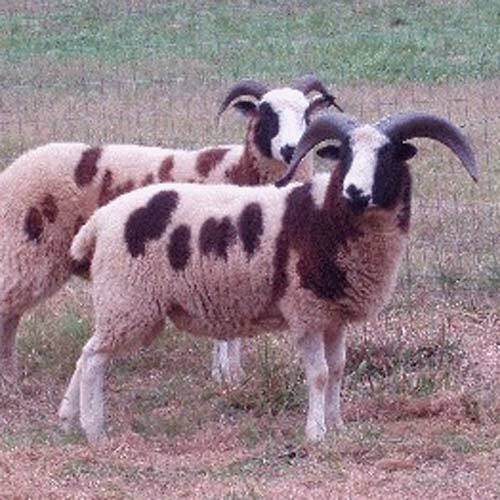 Angel was sired by St. Jude’s Jester (product of two Charles Hume sheep) and out of Marsh View Ruth (product of two Puddleduck sheep). Angel was registered JSC, but she’ll soon be showing up in the JSBA database – at age 11! Never too late. 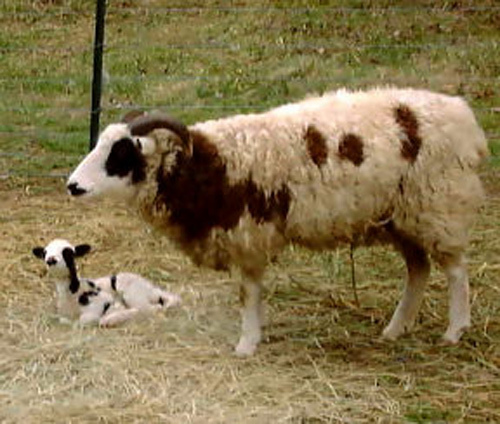 Angel and her lamb, Small Meadows Guy Smiley, by Small Meadows O’Henry. 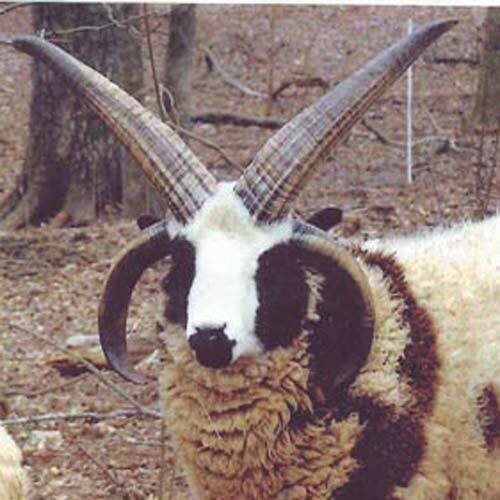 Unfortunately, Smiley died before being registered, as he developed into a rather striking ram. 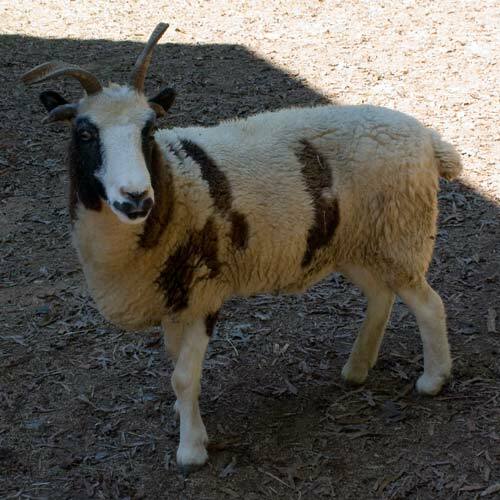 Angel at age 11 – fat and sassy and still raising lambs! My second visit to an area farm fit nicely into the continuity of my farm hopping. Greg and Kathey Williamson of Swan Valley Farm in GA had Guy Smiley for a bit, so the week after seeing Angel, I got to see some of her grandchildren. 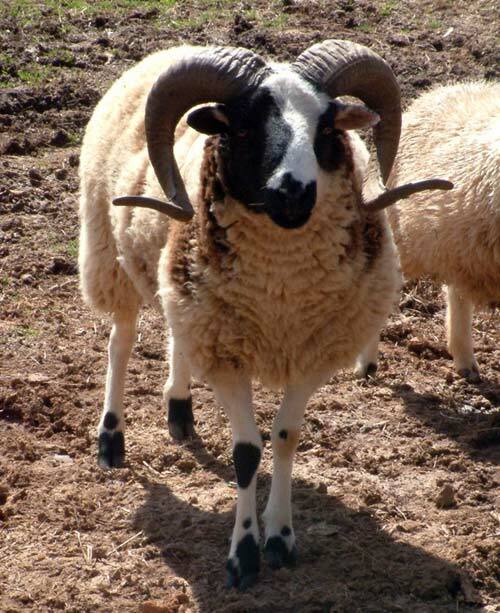 Natalie is the Jacob that disproves the old adage that ‘sheep are just looking for a place to die’. 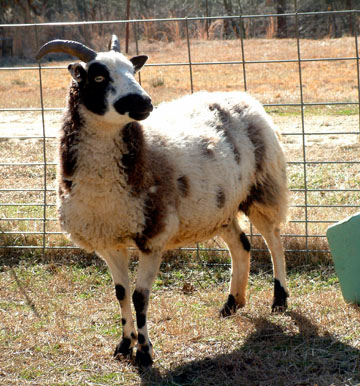 When dogs attacked at her new home when she was two, Natalie managed to escape the pasture. She was not found for a few days, but when she was, she was unhurt hiding in a briar patch and ready to jump in the truck to go home! Because she was the only sheep left, she came back here until more secure arrangements could be made. It was hard to let her go a second time! 3 Responses to The old girls.. 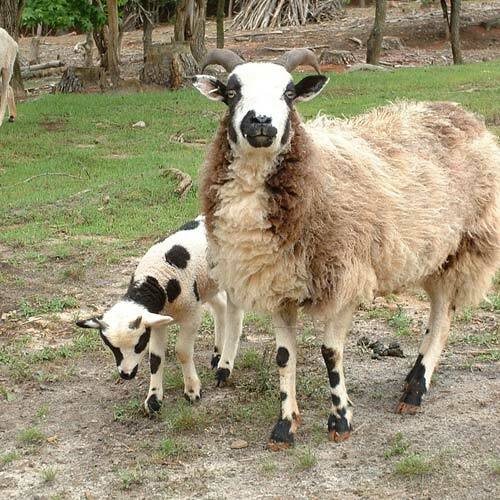 This post is so rich with history and relationships between sheep and people. Invaluable information! Thanks.